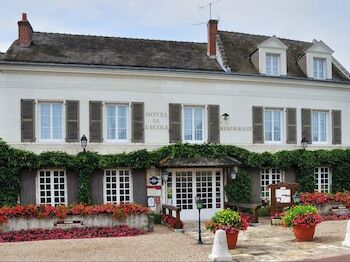 Located in Pontlevoy, Auberge de l'Ecole is within a 10-minute drive of Caves Champignonnieres and Chateau de Montrichard. Free self parking is available onsite. A stay at Appartement La Guignette places you in the heart of La Rochelle, within a 15-minute walk of Tour St. Nicolas and La Rochelle Hotel de Ville. With a stay at Les Orrianes in Les Orres, you'll be just steps from Jungle Aventure and Les Orres Ski Resort. Self parking (subject to charges) is available onsite. When you stay at Château de la Sebrandière in Le Gue-de-Velluire, you'll be within a 5-minute drive of Church of Le Gue de Velluire. Free self parking is available onsite.